Stories from the Oregon Trail enthrall, terrify or impress with their perserverance and strong sense of hope. People from all walks of life packed up their belongings, loaded wagons and walked thousands of miles over months in search of a better life. 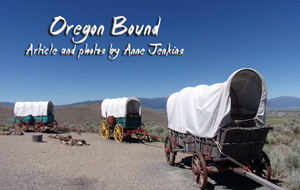 A great place to get an inkling of what it all entailed is at the National Oregon Trail Interpretive Center on the outskirts of Baker City in Easter Oregon. This is a truly impressive display in the form of a life size diorama depicting what life was like on the trail. They do a fabulous job of keeping this history alive with events and exhibits. You can even take part in a Ride the Ruts once a year – think of taking your bicycle along the wagon wheel ruts left behind after all these years. Food may not be the first thing you thnk of when visiting a casino. Think again. 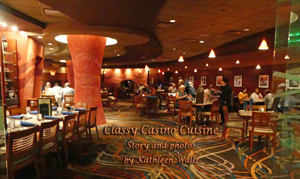 Many of the casinos I have visited have some fabulous dining options from top of the line to economic buffets. Here are a few I recommend. The Outer Banks, barrier islands off the coast of North Carolina, has so many good seafood restaurants gourmets will think they died and went to Heaven. I picked just three of the more upscale here for Elite Eats (couldn't decide on just one as all are equally elite) but know there are tons of less upscale ones that are well worth a visit. 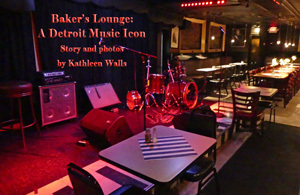 Baker's Keyboard Lounge offers dining and memories. It holds claim to being the oldest continuously operated jazz club in the world. All the biggest names in Jazz played on that little stage. People like Louis Armstrong, Sarah, Vaughn, Fats Waller, Nat King Cole, Ella Fitzgerald, and Aretha Franklin have stood on that stage. Today they still offer shows. If you visit at night, chances are there will be a band. Daytime, you can stand on that stage where so many Jazz greats once played. One of the best attractions along Interstate 81 is the Natural Bridge of Virginia. Early in the nation’s history, Hudson River School artists painted the landscapes of America’s most iconic natural scenes. These are the large landscapes that hang in the U.S. and state capitols. 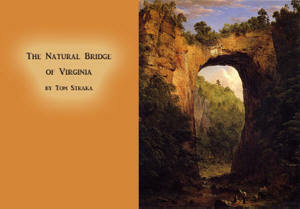 The Natural Bridge, Virginia, painted by Frederic Edwin Church, is one of them. That landscape is little-changed from 1852 when he painted it. American's oldest mystery has never been solved. 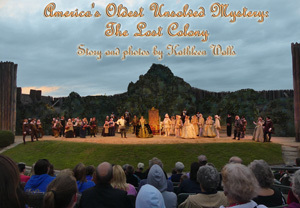 The story began with the settlement of Roanoke in the Outer Banks of North Carolina. The prelude was the earlier all-male expeditions. The first led by Arthur Barlowe and Philip Amadas, in 1584 was more of an exploratory one. One thing they did had a profound on the final settlement; they brought two young natives, Manteo and Wanchese, back to England. Want to visit fun places but you are not sure what to see there? How about taking a tour that is like having a friend who knows that city well along to take you to the coolest places. You can do that for under $5 now. 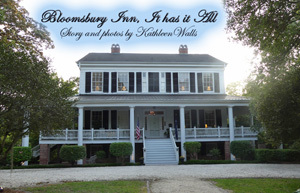 If you are tired of cookie cutter hotels and want a stay where you mix history, comfort, great good relaxing surroundings, cordial hosts and a friendly cat to pet, try Bloomsbury Inn in Camden, South Carolina. 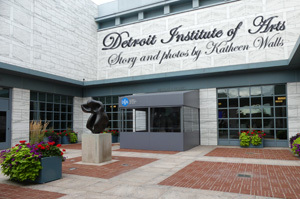 Detroit Institute of Arts is filled with more than 65,000 pieces of art from the earliest civilizations to the present day housed in over 100 galleries. A visitor from outer space could spend a day, or more, at the museum and come away with a pretty complete understanding of world history. Say "Detroit" and any music lover will think "Motown." Yes, Motown is a big part of Detroit's musical history but it's not the whole story. Not by a long shot. Blues and Jazz were part of Detroit. Rock and Roll is mixed in and even a touch of Country. I visited recently and explored Detroit's culturally diverse musical background. 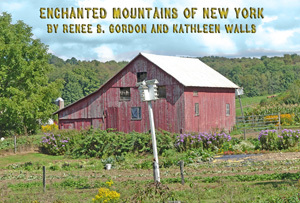 Cattaraugus County New York is known as the Enchanted Mountains for good reason. It may be a lesser known destination but there is so much to see and do among those picturesque mountains you will be enchanted. It's always exciting to watch a new state park develop. 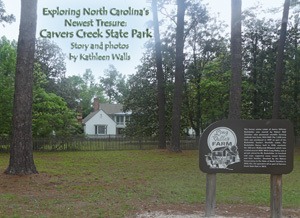 North Carolina's newest is Carvers Creek State Park. It was authorized in 2005 and opened the first stage in September 2013. Park Superintend Jane Connolly, told us about the park's background. In the mid 1700s Scottish immigrants began moving into the area. By the mid 1800s, this was the site of “Ardnave,” a 13,000-acre plantation that produced turpentine and later lumber for the naval stores industry mainly in England which had already depleted its lumber sources. The McDiarmid Millpond was probably built to saw the lumber. The prickly trees reach toward the sky like praying hands into the heavens. The Mormons saw these trees, and it reminded them of Joshua. The branches of the trees point their way westward like Joshua in an appeal for a safe journey to the promised land. 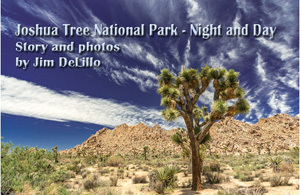 Yucca brevifolia has a small range limited to the boundaries of the Mojave Desert. The magnificent examples of hardiness can live for hundreds of years; some manage the extremes of the arid landscape for a thousand years. No experience has so impacted the United States as profoundly and lastingly as the years of black enslavement from 1619 to the end of the Civil War. “The peculiar institution” remains a defining characteristic of who we were, are and will become as a nation. How do we align the events of the past with the view of ourselves that we are a country founded on the principles of liberty for all and malice toward none? Delaware really is the most amazing state. It was the first of the original colonies to join the Union and is the second smallest state, a tiny jewel filled with history, mystery, quirky sites and a plethora of outdoor activities. 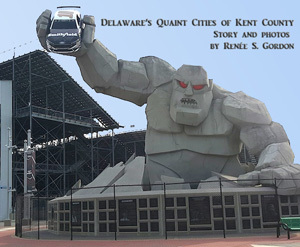 The state consists of three counties, New Castle, Kent and Sussex, and is so close to Philadelphia that your entire vacation can require a single tank of gas. In 1793 when Revolutionary War veteran Colonel John Hardenbergh, the first documented white settler in the Finger Lakes area, arrived in the Auburn, NY region it was home of the Haudenosaunee and was called “Ahskuby”. He and his two African American slaves, Kate and Henry, established the settlement of Hardenbergh’s Corners and two mills. The village was renamed Auburn in 1805. Local factories provided jobs for the inhabitants and with the 1825 opening of the Erie Canal job opportunities grew. Because of employment, access to transportation and proximity to Canada Auburn was a draw for free and fugitive African Americans, abolitionists and liberal thinkers. Sometimes a state park is just a place to park your camper. 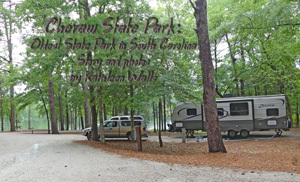 At Cheraw State Park, it's a whole family adventure. Golfers will be ecstatic about the 18 hole championship course set in pine forest adjourning Jake Juniper. They will appreciate its practice green, driving range and pro shop. There is nothing more beautiful than Mother Nature's most powerful places. 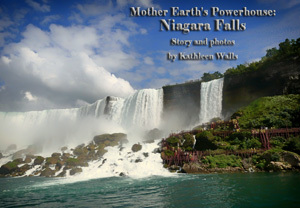 Niagara Falls is one of those special places. I just returned from a visit there and was literally blown away. At the top of Cave of the Winds as I stood on Hurricane Deck I felt as if I was experiencing the most powerful storm ever. 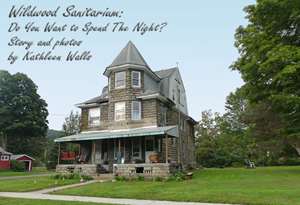 Wildwood Sanitarium: Do You Want to Spend The Night? Today the stately stone building in Salamanca, New York looks deserted and run down but just looking you feel that there is a strange history. You would be right. First it was a family home. Then Dr. John Henderson opened it as the Sunnyside Sanitarium in 1906. He was assisted by Dr. Perry and the nurses were Bertha, Agnes and Sue They operated it as the only holistic healing center in New York State at the time. They took in patients suffering from alcoholism, drug addiction, and what today we would call mental illnesses which they treated with Osteopathy Therapy and Holistic Healing. Barrier islands distinguish Georgia’s coast.Their geography’s interesting to know, and to see up close. 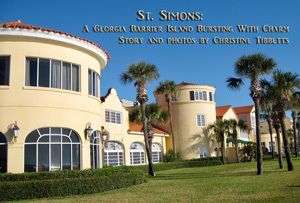 What’s happening on the one named St. Simons Island is robust, ever changing while holding on to historic charms. The tides here are distinctive; consider them metaphor for beachfront lodging, expansive culinary, bustling downtown and personal ways to delve into the history. When it comes to the telling American war history, Fayetterville, North Carolina has bragging rights. Fort Bragg's 82d Airborne Division War Memorial Museum commemorates the sacrifices made by the 82 nd Airborne and Special Operation Troops in wars from WWII and ongoing today. There are even more veterans honored in the North Carolina Veterans Park. Real farms are rare treasures. Those pleasant homes with a family living in the midst of real farm animals, crops they planted themselves with cats and dogs to share the space have mostly been replaced with huge corporate offices where someone orders the planting done by huge machines manned by workers who are bused to the site then returned to the city after the day's work is done. The office workers only know the animals they are raising by the number and type. That's why it's such a treat to visit a real farm. Public art not only beautifies an area or town, it also draws visitors. And in the U.S. Western states public art is very much focused on it's identity and history. This makes a fascinating, interesting and fun way to discover more about places, big or small. No matter where you go in South Carolina, you'll find great food. Here are a few of the foodie hotspots I visited lately. Fayetteville has a rich African American history. 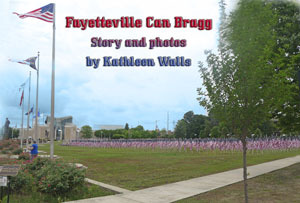 Fayetteville had documented the drama of post Civil War race relations well. Much revolves around the many churches; the first African American school plays a big part. However, every drama needs a hero and Charles Waddell Chesnutt fills the bill as one of the heroes of this one. Before the days of the Coast Guard guarding our shores to prevent shipwreck deaths, another facility was hard at work. Chicamacomico Lifesaving Station fought to prevent drowning death in the Outer Banks since 1874. Their museum is one of the most complete U.S. Lifesaving Stations left in the country. The present station was constructed in 1911. It's located on Rodanthe. The name means shifting or sinking sand and considering its beach location that is so appropriate. History buffs and those interested in America's Civil War must travel to Gettysburg, Pennsylvania, the site of the most unforgettable and important military conflict of the war and President Abraham Lincoln's most famous speech, The Gettysburg Address. Gettysburg National Military Park is mentioned in the book, 1,000 Places to See Before You Die in the USA and Canada. Many restaurants win awards locally but when you see one that is named a Top 100 Restaurant by Our State Magazine and Best NC Restaurant 2013 by Urbanspoon, you expect excellence. Sherefe in Fayetteville, North Carolina doesn' disappoint. It specializes in Greek, Turkish and Mediterranean dishes. Our waiter, Paul, was patient and knowledgeable with a touch of humor that made ordering fun. It's rare to find a restaurant that has stayed in business run by the same family for over 50 years. Old South Catery in Camden, South Carolina was started by Charles Hatfield's grandfather. When his grandfather passed away his mother took over and now Charles runs it. Growing up with such a cooking background, southern food was in his blood. Conner Prairie calls itself an interactive history park. I'd use the term living history museum. It is located just northeast of Indianapolis, is one of the largest attractions in the region, and one of the most-visited outdoor museums in the country. Much has been told about the way enslaved people worked and interacted with the whiteowners in the old South. Little is known about their personal lives when their work was done and they went home. 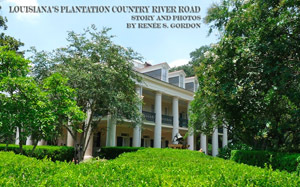 Did you ever wonder what was it like to live in a slave cabin in the 1830s and 40s? When you first step into the George Washington Hotel in Winchester, you are walking on history. That distinctive Tennessee pink marble floor in the lobby is the same floor on which the ordinary people and the famous visitors have walked since the hotel opened in 1924. Jack Dempsey, James Cagney, Ed McMahon, Lucille Ball, Lucy Baines Johnson, President Lyndon Johnson's daughter, and President Gerald Ford's daughter, Susan, are just a few of its celebrity guests. The two president's daughters were Apple Blossom Queens of the local Apple Blossom Festival. Camden is South Carolina's oldest inland town. It witnessed many of the events leading to the birth of our country. The old town played host to Revolutionary notables including Nathanial Greene, Horatio Gates, Casmir Pulaski, Francis Marion, Thaddeus Kosciuszko, Light-Horse Harry Lee, Thomas Sumter, Marquis de Lafayette, Andrew Jackson, Johann de Kalb, and George Washington. It was an involuntary host to Lord Cornwallis and his British troops. Cheraw, South Carolina is noted for many things but for music fans one stands out. It's the home of Dizzy Gillespie. John Birks Gillespie was born here on October 21, 1917. His childhood had a few bumps in the road. He father, who was a brick layer and part time musician, died when Gillespie was only ten. Whether young lovers or just young at heart, romance can undoubtedly be found at the dreamy Casa de Suenos in Florida's historic city of St. Augustine. The first impression of this cozy bed and breakfast is one of a sheltered haven from the hustle and bustle of larger towns, lodgings, and the interstate left far behind. From wherever you may have come, the pastel yellow stucco welcomes you in the warmth that is echoed within by its soft colonial decor. April 4, 2018 marked the 50th anniversary of the assassination of Dr. Martin Luther King, Jr. in Memphis, Tennessee. The single shot did not erase the legacy of the dreamer or the end of the dream. Although he traveled worldwide Georgia was his home and Georgia has embraced him as its most honored native son. Visitors can trace his physical life from birth to burial, his philosophical and ideological stances through public speaking events and his evolving civil rights strategies through open and clandestine planning locations. Best of all, Georgia's "Footsteps of MLK" tour includes sites where we catch glimpses of King the man, the husband and the father. On June 13th Aloft Hotels, Marriott Internationalâ€™s brand for music lovers and music makers, and Universal Music Group & Brands (UMGB), the world leader in music-based entertainment, partnered to craft an innovative approach to combining a trendy vacation and designer accommodations, with a unique live soundtrack. Blend in the 2018 edition of Aloft Hotel Artist Discovery Competition, Project Aloft Star, a five-city tour showcasing UMG's rising artists and you have an experience to remember. In 1528 Spanish explorer Panfilo de Narvaez came to the Pinellas peninsula and probably stepped ashore in Clear Water harbor, named for the now nonexistent springs, in the bay. There he encountered the Tocobaga Indians who inhabited the area for thousands of years, a maritime culture whose villages lined the shore. By the early 1700s the tribe was virtually wiped out by European diseases and Spanish brutality. Narvaez was accompanied by black explorers including Estevanico. The history of the Delta, the triangular floodplain that lies between the Yazoo and Mississippi rivers, has long been noted as some of America's most fertile land and it was home to Native Americans for more than 1300-years before Columbus. The French, the first European settlers, began importing slaves from Africa in 1720. They attempted to grow various crops but by the end of the 1700s cotton was the biggest cash crop and with it the need for slaves to work the fields exploded. Nelson Mandela, widely referred to by a tribal honorific, Madiba, would have been 100 years old this year. South Africa, and the world, has taken this opportunity to commemorate his life and legacy with a series of ongoing events, exhibitions and performances that are designed to serve as examples of and foster a more inclusive society that promotes diversity and social justice. Active participation and interaction is encouraged so that participants gain a deeper understanding of the values Mandela esteemed. Madiba's Journey application is an outstanding tool that includes maps, narratives and additional practical information. Some hold Sunday services. Some only special events now and then. But several dozen historic southern churches share their stories of resilience in personal, up-close ways on lively tours called the Pews and Pulpits Ramble. Happens twice a year. Next one is September 21, 2018. In the little town of Casey, Illinois, there are great big attractions to see. So big, in fact, that eight of them are known by the Guinness World Records as the World's largest. All are actually functional, a requirement from the Guinness Book of Records. With a population of only 2752, Casey is located conveniently near Interstate 70, between Effingham and Terre Haute, IN. Making a living from the sea is not an easy road. Yet, it's the road taken by many Outer Banks residents. Longtime waterman, Captain Marc Mitchum has earned his living as a shrimper and crabber for many years with his boat, the Jodie Kae. Honeysuckle Tea House near Chapel Hill, North Carolina is a unique place in today's world. It is a multipurpose gathering place on a farm that serves as an apothecary as well as offering classes, entertainment and a place to enjoy a spot of tea. In today's coffee-conscious environment, they do serve coffee but tea is the star of the show. It's my kind of place since I am probably the only person from New Orleans who doesn't drink coffee. The American National Parks Service (NPS) protects and preserves some of the most stunningly beautiful, dramatic and historic places in the nation. Mother Nature proves, as always, she is the superior artist of all time. The parks, historic sites and monuments are a sketchers dream and the variety is breathtaking. I visit as many as I can and love sketching in them. Some of my sketches turn out great and some not so much. It doesn't matter, it's a wonderful memento of a visit to a majestic place each time. We tend to think of restaurants as separate entities but sometimes restaurants are part of something bigger. 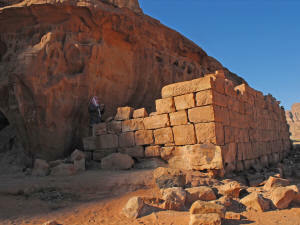 Here are a few I discovered in my travels that will offer you more than a meal. The singers of today who gain attention for their outrageous behaviors have nothing on Ma Rainey. Her career spanned the last few years of the 19th and early 20th centuries. Gertrude Malissa Nix Pridgett used the name Ma Rainey after her marriage to Will Rainey in 1904. She performed for a time in the Rabbit Foot Minstrals and then branched out. She was one of the first women African American Blues singers and became known as "Mother of the Blues." I recently visited Ma Rainey's home in Columbus, Georgia now a free museum. It's a two-story clapboard house in a not-fancy section of Columbus. Said to be the best place to gamble in the South, Biloxi, Mississippi is also one of the best places to splash in the Gulf of Mexico's crystal-clear waters. The 62 non-stop miles of shoreline have lured back thousands of visitors. Biloxi is a perfect beach getaway from late spring to late fall. When she opened Linde Marie's Steakhouse on the square in Cave Spring, Georgia in 2013, Linde Marie Wentz is quick to admit "I don't know what I was thinking." One thing she knew was, "It had to be here in this building."" Can you imagine a simple Christmas present turning into a worldwide business? Neither did Nathan Clark when he gifted his wife with a candy thermometer. Nathan explained how that happened. "It all started by accident. Several years back I didn't know what to get my wife for Christmas. I heard this person on NPR talking about that candy is not really so bad for you. I was so-o-o happy to hear that. I eat a lot of candy. They said if you eat a pie youâ€™re full but if you eat candy itâ€™s so little you still have room. We covered Abraham Lincoln' childhood in Indiana in the Spring 2015 issue and Jefferson Davis in Kentucky (his birthplace) in the Spring 2017 issue, so it seemed appropriate to travel to Abraham Lincoln's birthplace and see if there really is a log cabin there. We did and there is. The location is a National Historical Park near Hodgenville, Kentucky, about 65 miles south of Louisville. Winchester, Virginia was immersed in three of American's wars, French and Indian War, American Revolution and Civil War. During the French and Indian War and Revolution, it was an emerging frontier. In what is now Winchester a young Colonel George Washington designed and ordered construction of Fort Loudoun in 1756 for protection during the French and Indian War. George Washington spent a good amount of time in Winchester. By the time of the Civil War, the fort had been pretty much dismantled. Many of the houses along Loudoun Street are said to be constructed with material from the fort. Capon Springs' story began in 1765 when a man named Henry Frye stumbled upon the spring. Of course Native Americans knew of the spring's healing power since they had long used this area as hunting grounds. Today's name, Capon Springs, is derived from the Shawnee word "cape-capepe-hon" meaning "medicinal water." Bur as a white settler with the means to publicize his find, Frye gets the credit. He named the spring Frye Springs and believed that the spring miraculously cured his sickly wife. Thomas Jefferson may have been our emerging nation's most controversial figure. He was the major drafter of the Declaration of Independence stating "All men are created equal" yet he practiced slavery at Monticelo. He became our third president and is revered yet, he fathered several children with Sally Hemings, a young enslaved woman. One of the most iconic names in country music history is Patsy Cline. She was the first female artist inducted into the Country Music Hall of Fame. She was one of the first country music singers to have a big crossover hit. "Walkin' After Midnight" reached No. 2 on the country chart and No. 12 on the pop chart. When she was featured on Arthur Godfrey's Talent Scout she topped out the applause meter. Other songs that will always recall Patsy Cline, no matter who the cover artist is, are "I Fall to Pieces" and "Crazy." Many people regard Jamestown, VA as the birthplace of the nation because it is the site of the first permanent English settlement in North America. With a deeper look one sees that its importance is much more pervasive and it can better be described as the place where our country's initial courtship took place. Here that our nation's most important "first encounters" occurred and roles and a hierarchy would be established that would have a lasting effect. On May 14, 1607 three ships, Susan Constant, Godspeed, and Discovery, bearing 104 all male settlers, came ashore on land they called "James Cittie". Milan, located in picturesque Northern Italy, was established around 400 BC after the Gauls overcame the Etruscans and named it Mediolanum. The Romans conquered the area in 222 BC and in 15 BC it became the Western Roman Empire's capital. It was in Milan that Emperor Constantine I proclaimed The Edict of Milan in 313 AD, announcing religious tolerance for the Christian religion in the Roman Empire. 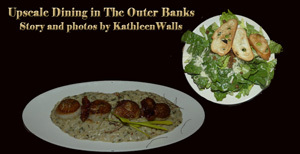 Saint Augustine has so much to see and do in the historic and food areas. we sometimes forget the magnificent amounts of nature available there. So here are some photos of the best nature has to offer in the Oldest City. Interstate 75 frames this Georgia community close to the Florida border and the exit is easy and direct. When I visited Baltimore, Maryland recently, I soon learned it is a city full of "firsts." Actually known as a city of monuments, Baltimore is home to the first architectural monument in honor ofGeorge Washington, which stands at 178 feet downtown.The Washington Monument in Washington, D.C., was modeled after the Baltimore version, which was erected in 1829. Architect Robert Mills, who designed and built both monuments, made sure it was known that he was the first native-born American with any architectural training. Upon The cornerstone was laid with great ceremony on Independence Day, July 4th, 1815. Just like good wines, Hinnant Family Vineyards and Winery is well aged. Daphne Evans, Hinnant's Wine Club Director, offered us a tasting while she told us the history of the vineyard and winery. The Bosque Redondo Memorial at Fort Sumner, a New Mexico State monument, hidden away on the outskirts of tiny town of Fort Sumner needs to be visited and needs to be absorbed. It's a memorial honouring the Navajo and Mescalero Apache, and "the long walk," a sad period of history which lasted lasted from 1863-1868. I've been busy traveling on many press trips and conferences in the South lately. In my travels, I have visited a lot of award winning restaurants. Some are upscale but others family-style places. Here are a few you should visit if you are in their area. Letter from the Birmingham Jail is one of the most notable documents from the Civil Rights movement. On a recent press trip to Birmingham I got to visit and appreciate these places in a whole new light. It's one thing to read about a place or see it on TV. It's an entire different matter when you walk in the footsteps of these folks. Mary Pickersgill, a Baltimore banner maker, was hired to stitch a giant flag (30- by 42-feet). It was so large it had to be constructed on the floor of Brown's Brewery. She enlisted the help of others, including her indentured servant, Grace Wisher, a black teenager. Her home has been converted into the Star-Spangled Banner Flag House (www.flaghouse.org) that's open to the public. You can see the tribute to Wisher and others, along with artifacts and displays that depict that intensive period. The Old Mill Room in Charlottesville, Virginia is the perfect dining spot after a visit to Monticello. It transports you to an earlier time. In fact, The Old Mill Room, part of the Boars Head Inn Resort, has links back to Jefferson. The entire lodge is owned and operated by the University of Virginia Foundation. The ties to Jefferson are deeply embedded. The resort's 3,000-acre tract was part of Virginia's first land grant and was originally the site of Terrell's Ordinary that housed many westbound travelers. In 1800, Thomas Jefferson convinced his friend, Eliza Trist, to move to Albemarle County. When Eliza's son, Hore Browse Trist, decided to purchase to purchase land, this was the parcel Jefferson helped him buy. Want to experience Germany but can't afford the airfare? There's a solution. Visit Hollerbach's Willow Tree Cafe in Sanford, Florida. I visited recently on a press trip and what a treat! Sometimes you stumble on fascinating road trips. We stumbled on one between the Antietam and Gettysburg Battlefields. The hour drive between the two battlefields passes through Catoctin Mountain Park in Maryland, a federal recreation area managed by the National Park Service. We expect a hotel to have all the modern amenities and conveniences. It's a plus when they have a unique personality and interesting history. Hotel Florence fills the bill all the way. It's a small 64-room boutique hotel in historic downtown Florence, South Carolina so you get very personal attention when you stay there. It was a Choice Hotel's Ascend Collection Platinum Award Status Winner in 2015 and the winner of the Ascend Hotel Collection brand's 2016 Hotel of the Year Award so they know it is doing things right. How often do you find a cat in a historical museum? Add to that how often does said cat "write" for a local paper? Well, meet Percy, the greeter for Joplin History and Mineral Museum. I was introduced to him on a recent visit to the museum by Brad Belk, museum archivist and community historian. Percy is remarkable modest considering his fame. He studied me carefully with his wise amber eyes than granted me the privilege of allowing me to pet his sleek gray and white body. West Virginia was born out of the War Between the States. Few other states were as divided in their sentiments. Hampshire County more than most of the other counties. It was part of the new Union state but bordered on Virginia, the most staunch of the Confederate states. Many of Hampshire County residents still thought of themselves as Virginians. It's no wonder that so much of this county's history is written in blood. Sure, you can drive to the top and get a bumper sticker that reads "This Car Climbed Pikes Peak", but it's more rewarding to get the t-shirt proclaiming the feat done with your feet. Dallas-Fort Worth International Airport (DFW) is so large that Manhattan Island would fit inside its 17,207-acres and it has its own postal zip code. Many of the thousands of people who pass through daily have long layovers and DFW offers the affordable Grapevine Visitors Shuttle service that stops at locations of interest throughout the area. Year round Grapevine, Texas is a great destination for a brief layover, extended stay or point of departure for the ultimate Texas road trips. The earliest archeological evidence of human habitation in New Mexico (NM) dates from 25,000 B.C. At that time the Sandia people migrated into the region developing crop cultivation, architectural techniques, weaving and pottery making through the centuries and between 1200-1500 A.D. the Pueblo Indians founded villages, along water routes in the area. First contact with Europeans occurred in 1536 when Cabeza de Vaca and Estevanico, a black enslaved explorer, reached southern N.M. Juan de Onate established the first Spanish capital in 1598 in the Royal Province of New Mexico. Gov. Pedro de Peralta established a third capital in 1609, after the others failed, in Santa Fe. Trace is a French word for animal track and the fabled Natchez Trace was created centuries ago by bear, deer, bison, etc., as a migratory path to locate food sources, water and salt licks. Paleo-Indians, who migrated into the region, followed this footpath when traveling and hunting. The earliest documented European explorer, Hernando de Soto, arrived in 1541 and was met by native resistance that lasted more than 200 years and is interpreted along the Trace. The Trace linked settlements in Kentucky, Ohio Valley and Tennessee with the southern region of the Mississippi River. Campers and RVers, do you hate dealing with big city traffic and congestion but love to visit culinary destinations, art heavy communities or historical places? If so you will love Kinston, North Carolina. It's a small town that has a lot to offer. There is a peaceful 55 acre campground on the Neuse River that is about a mile from where many of the local attractions are located. Expect one vibe but discover another. Ever happen to you as you travel? That's my Birmingham, Alabama experience: remarkable discoveries beyond my expectations. Central Florida Zoo and Botanical Garden in Sanford, is Central Florida's shining jewel when it comes to learning about our fellow mammals, birds, reptiles and amphibians. It has always been one of my favorite small zoos. I revisited it recently. Would be farmers in Cabarrus County, North Carolina have an opportunity to get their hands dirty at Elma C. Lomax Incubator Farm. This is a unique opportunity for local Farmers-In-Training (FITs) to learn what it takes physically, emotionally, and financially to become a farmer. It allows them to rent cheaply, make mistakes in a safe place, and learn from them, in order to spin out into their own place. It's in its eighth growing season. means the famed Newlands Rugby Stadium to many devoted rugby fans around the world. But Newlands has much more going for it than rugby. There's the world famous Kirstenbosch National Botanical Gardens, Newlands Brewery, The Barnard Gallery, Newlands Forest and the legendary Foresters Arms, one of the oldest pubs in Cape Town, known to locals as Forries. They say pizza and beer go together so here are some of each. Some of the best pizza I ever tasted was at Bob's Brick Oven Pizzeria in Rock Spring, Georgia. Unlike many of the new business owners I meet today, Bob Watts is not a millennial. He's been around the block a few times. He's a former Vietnam era Marine and former business man. He claims, "I'm too old to do things like everybody else." So he doesn't do like everyone else. Like Frank Sinatra, he does it his way and that is much better than your average pizzeria. Georgia recognized this in 2016 when he won Best of the Best for his pizza. Imagine yourself an African American in Charlottesville, Virginia in 1865. You have never been taught to read or write. Suddenly you are a free person. Now for the first time, you can make your own decisions about your life. You need to get a job to earn money for food and shelter. With that comes going to a store and buying items. What do you need most to move forward and take your rightful place in society? A school. Jefferson School becomes your ticket to upward mobility. Lewes (pronounced lou-is), Delaware, the first town in the first state, has a maritime history that they love to share with visitors. The shoulder season of fall concentrates on more than its great beaches. The weather's warm, and there are still many outdoor things to do. The crowds have departed, and good deals on lodging have arrived. The same logic applies to spring. It's known as Simple Twist for a reason. The owners are North Carolina locals Nathan and Colleen Roby. Their dream fulfillment started with one restaurant partnership that didn't work out but led them by a simple twist of fate to open a new restaurant together. They opened Simple Twist in Garner, North Carolina. Chef Nate believes in sourcing his food locally and blending them into a magic medley of flavor. He mixes Southern and American cuisine with a new twist. That's just what the people of North Carolina and visitors from all over are searching for so it was well received. They now own three locations in Johnson County and have recently opened a bottle shop and tap room that serves beers from Johnston County and North Carolina's craft breweries. If you happen to be crossing Indiana on U.S. 50 or I-65, and would like an interesting side trip, America's longest historic covered bridge fits the spot. Built in 1875, at a cost of $18,142, it crosses the east fork of the White River about a mile east of Medora on Route 235. The bridge was used by U.S. 50 to cross the river from 1926 to 1950, when the U.S. highway was rerouted a few miles north. It was in use for regular traffic until 1973 when a modern bride was built along side of it. Since then it has been limited to foot traffic. Few places in the world can compete with America's Secret City, Oak Ridge, Tennessee as a history maker. Not only was history literally made here, it was achieved with a level of secrecy that could never be duplicated today. Was the result good or evil? That is still being debated. What is undeniable is that it changed the course of warfare forever. Man had unleashed a power that if misused could destroy the entire planet. In the days when a Model T was the latest craze and everyone wanted one of those new fangled horseless carriages, it was only natural for new roads to spring up around the country. One of the most famous of those roads was Route 66. It began in Springfield, Missouri on April 30, 1926 when a telegram proclaimed it as "Route 66." Originally it was called "The Great Diagonal Way" but the era's equivalent of public relations people felt Route 66 was more promotable. John Steinbeck named it "the Mother Road" in, Grapes of Wrath. It really was the mother of opportunity for people living in the small towns and cities on its route. They opened restaurants, tourist attractions, and motor courts. The motor courts and tourist cabins were the lifeblood of the new Route 66. Travelers needed a place to stay. A few are still alive and flourishing. Route 66 Museum has a modest home in the county library in Lebanon, Missouri but it tells a big story. It took me back to the earliest days of Route 66. The first exhibit is Philcheck Service Station. (Love the name. It says it all.) The station sports a Fire Chief and a Skelly gas pumps. A uniformed attendant is coming out to service the Ford Roadster sitting under the frame portico. Remember the days when an attendant came out and said "Fill'er up?" then wiped your windshield, checked the pressure in your tires and checked your oil? Ava Gardner was a star of the first magnitude. A visit to her museum in Smithfield, North Carolina tells a more complete story. It follows Ava from when she was born a country girl in the community of Grabtown just east of Smithfield through the years of stardom and beyond. As a child, the depression hit her family hard and as the youngest child in a family of seven she lived a life bordering on poverty. You've got to get off the interstate to get to Half Moon Bay but it's well worth the drive. There is something there for everyone. At first glance, one would wonder why go to the Grand Canyon in winter? First, like many Southwest tourist attractions, there are fewer crowds. By some standards, it may even be considered desolate. When the first documented Spanish explorers entered the Fort Lauderdale region in the 1500s they were met by a native presence. These tribes, the Calusa, Missosukee and Timuqua, were only the most recent of a number of tribes that, according to archeological studies, date from the Neolithic age. The Seminoles, members of the Creek Nation, migrated into the area in 1750 and again in 1809. The Spanish built missions in Florida as early as 1567 but because of the climate the first permanent white settlement on the New River consisted of Bahamians in the 1700s. A census reveals that in 1830 the New River Settlement had a population of seventy. James Baldwin's roles as author and political activist uniquely fitted him to be both a voice for and shaper of African American political culture specifically and American culture in a broader sense. All of his childhood experiences honed him for his "individual journey" and for the remainder of his life he spoke out against injustice and advocated radical change and neither his influence nor his significance has diminished in the years since his death. His eloquent prose continues to spur us to speak truth to power. People tend to think that African American theater developed after their introduction to European forms of entertainment and cultural influences. Historic research hints at the exact opposite. Herodotus, considered the "Father of History," visited Egypt in 450 BC and noted the historic use of performances in rituals, religions, ceremonies and festivals. It is this pattern that traveled to Europe. The earliest documented evidence of an Egyptian theatrical performance is the 2600 BCE Ramesseum Dramatic Papyrus that includes information on the script and the scenes. These words, in their broadest sense, have been used for eons as a call for escape. They have also been used as a seasonal cry by generations of those living in the hot, humid lowlands south of the Western North Carolina mountains when oppressive summer temperatures and humidity began their inexorable climb into the mountains. Gentle adventure in beautiful settings works for me. Sports requiring skill and stamina, speed and dexterity? Not so much so. That's why I immersed in late summer activities in the peninsula Wisconsin named Door County to see what might be right for me. A bingo for sure! Door County calls most of what I did Silent Sports. Want to see all of Appalachia but don't have the time to travel that far? Instead visit Museum of Appalachia in Norris, Tennessee. This Smithsonian affiliate is filled with artifacts, a recreated Appalachian village, and a wonderful home-cooking style restaurant and gift shop where you can purchase a piece of Appalachia to take home with you. Does anyone out there remember what it was like before the world of microwaves? When they first came out, my mother got one right away. At first, she used it for heating water for tea and warming leftover soup or vegetables. She was afraid to use it for much else. They were so expensive at first, I couldn't afford one as a young bride and mother. But every time I watched "Let's Make A Deal" on television, I dreamed of winning the door with a microwave behind it. "What moved us to become shopkeepers? We knew that one way David could keep satisfying his collecting impulses would be to have an outlet (a store), so he wouldn't have to keep bringing everything back to an overcrowded home." Landmark Park is a step back to Dothan's early farm heritage in the 1890s. It pays tribute to the Wiregrass Area agricultural heritage. Laura Stakelum, Public Relations Director, explained how Landmark Park came into existence about forty years ago. "We started with the white farm house that used to sit on the corner of the circle and Main Street (the heart of town) and was the last standing farm house in the area back in the 1970's. The house was built in the 1800s. We had 60 acres and the house. That's how we got started." Among the world's great gardens, Kirstenbosch National Botanical Garden in South Africa ranks way up there. Their location on the eastern slopes of Cape Town's famed Table Mountain is hard to beat, accentuated by the breathtaking flora and fauna of the region, make it a truly glorious experience. The garden was established in 1913 on the estate of the last owner, Cecil Rhodes, a renown industrialist and pioneering figure in South Africa's history. Nothing says comfort food like a buffets or a deli. These are the spots where the food is plentiful and home style. They are the go-to for filling lunches where the emphasis is on the taste not the presentation. Here are a few I visited lately. All had delicious and reasonably priced meals. Each has their own personality. story there is on each one and how different the stories are. Here are some the latest I have visited. graduate of Green McAdoo Elementary School. Small balconies jut out over narrow lanes designed to thwart pirates and other invaders. Thick coquina walls hide the lush gardens of old Spanish-style homes. The sound of a horse-drawn carriage breaks the silence. From a hilltop, a 17th-century fort, Castillo de San Marco, watches over the citizens. This is St. Augustine, Florida, the oldest city in the USA. Lambert's Cafe in Sikeston, Missouri is known for throwing your food at you. Yes, at least the rolls. The rest of the side dishes, they bring to your table and heap your plate to overflowing. You pay a ridiculously low price for the amount of food and the entertainment of watching those "Throwed Rolls" is free. Part of the allure of Asheville, North Carolina is the forest that surrounds the city. The Blue Ridge Parkway passes near Asheville and just south of the city through the Pisgah National Forest, offering fantastic vistas of southern Appalachian forest. One of the main attractions in Asheville is the Biltmore Estate, once owned by George Vanderbilt II. The Estate includes Biltmore House, a ChÃ¢teasuesque-style mansion, the largest privately-owned house in the United States (at 179,000 square feet of floor area), and one of the nation's most outstanding examples of the Gilded Age. The Biltmore Estate has some interesting American forestry history as part of its lore and the USDA Forest Service manages a large heritage site called the Cradle of Forestry near Asheville that is one of the most interesting side trips out of the city. cities in search of work. This was common during the post WWII years. Farmhouses aged and succumbed to weather. can be reincarnated. Such is the case in Red Oak II near Carthage, Missouri just off Route 66. It's so easy to just tear down the old and throw up a new building nowadays. With lodging, the result is usually a cookie-cutter hotel just like multiple other places. I find it so exciting when someone revives the old and creates a refreshing new image for an old icon. Such is the case with Mother Earth Lodge in Kinston, North Carolina. The words "I owe my soul to the company store" didn't originate with Tennessee Ernie's iconic song Sixteen Tons. A recent visit to Anderson County Tennessee brought the coal miners struggles to life. Coal Creek Miners Museum in Rocky Top (formerly Coal Creek), Tennessee tells the miner's story in pictures and artifacts focusing on three major crisis in the area's mining history, The Coal Creek Wars and two mine disasters; the Fraterville explosion in 1902 was the worst mining disaster in Tennessee history, then just nine years there was an explosion in Briceville's Cross Mountain Mine that killed 84 workers. Take a road trip to discover there's more to Georgia than Atlanta. From the mountains of northwest Georgia to some classy cities that lie just north of Atlanta and are often overshadowed by their big sister city, you will visit some of the quirkiest attractions and some of Georgia's best places you've never heard about. Once before we had a president who was involved in real estate. This one didn't build using other people's money for his own profit. This one build, with his own hands, homes for people who would not have a home of their own otherwise. Jimmy Carter was a different kind of president and a different kind of person than the average politician. I recently visited the Jimmy Carter Presidential Library and Museum in Atlanta. It brought back my nostalgia for those times. Philadelphia is so filled with museums, historic houses, restaurants and entertainment venues that people often forget that there are a staggering number of things to do in the communities and villages that are within thirty-minutes of the city. One of the most prominent areas is Montgomery County (Montco) just northwest of Philadelphia. The land was deeded to William Penn in 1681 for the purpose of Quaker settlements but during the late 1700s it first came to national attention when George Washington and the Continental Army encamped there for 6-months during the winter of 1777-8. It was part of Philadelphia County until the 1780s. A number of structures from that time are sprinkled throughout the region and several offer tours and special events and there are more than 58 historic markers throughout Montco. El Paso has, for thousands of years, been an important site for human settlement and trade routes due to its location at the juncture of the Chihuahuan Desert and the Rio Grande River. The area was inhabited by a number of tribes prior to the 1535 arrival of Ãlvar Cabeza de Vaca followed by Francisco de Coronado in 1540. In 1598 Juan de Oate began colonization efforts by claiming El Paso del orte for Spain. Have you ever noticed the Georgia logo at the end of a movie or television program or listened to the line, "Made in Georgia", and wondered what was their deeper significance. Georgia, the Film Capitol of the South, second only to California in the nation, was the scene of more than 245 productions and generated $7-billion in 2016. The industry exists throughout the states 159 counties but really flourishes within a 50-mile radius of Atlanta due to film union regulations. There are numerous tours that take visitors to actual locations, places visited by celebrities and immersive activities that make you feel part of the film world and this is the "Year of Georgia Film" and the state is truly ready for its close-up. Baja California Sur refers to the lower portion of California, a peninsula amid two bodies of water, the Sea of Cortez and the Pacific Ocean. Mexico has more coastline than any other nation and 1,234-miles of it are in the Baja. There are two major resort cities located at the peninsula's southern end, San Jose del Cabo and Cabo San Lucas, joined by El Corredor, a 20-mile scenic road that links all the sites and attractions. In 1492 Christopher Columbus "discovered" an island he named Juana on his first voyage, Cuba, a variant of Cubanascan, is the name given by the indigenous people. Four-million US citizens rediscovered the 42,815-sq.mile island 525-years later. Cuba is actually a 776-mile long archipelago set amidst thousands of smaller islands. Geographically it is 112-miles from Florida and 50-miles from Jamaica, is comprised of beaches, marshes, mountains, plains and tropical forests, and is situated between North and South America at the mouth of the Gulf of Mexico. While the dominant culture is Spanish, evidence of African, Chinese and other Europeans profound cultural impact on Cuba's art, architecture, cuisine, religion and music is pervasive. When you say "Branson" most people thinks of shows. Music shows, Legends performers, and plays of all kinds come to mind. The average playgoer in Branson, Missouri doesn't think about all the behind the scenes activity it takes to bring an epic like Moses to the stage. Massive sets must be built; lighting and equipment are related to a specific play and must be created for that play. Since Sight and Sound uses animal actors, habitats for the animal actors must be created. Fans of the old movie "Thunder Road" will be right at home visiting Raymond Butler at Dalton Distillery in Dalton, Georgia. He and his family have been producing real Georgia moonshine for more than 100 years. Southern moonshiners are inventive. They don't let the law stop them and they get creative about ingredients. Raymond has made liquor from many different things over the years. As he tells it, "Any kind of fruit, if it will ferment, I can make you drunk." Coffee connects well with construction in Americus, Georgia. Think globally here as in fair trade farming and homes for people in debilitating poverty. Brass footsteps embedded in the sidewalk in Albany, Georgia provide a path for singing while walking--songs of immense Civil Rights meaning still presented by Freedom Singers from the early 1960s in the former Mount Zion Baptist Church. Those steps are in sight of Albany's Civil Rights Institute. During her last moments in OZ, Dorothy clicked the heels of her ruby red slippers together as she repeated the words, "There's no place like home." I had the same thought while anchored over Australia's Great Barrier Reef. For me a visit to Wilson's Creek Battlefield was like dejÃ vu. I had never been there in real life but in my mind I spent many days there as I worked on my book, Under a Black Flag. For those not familiar with the Battle of Wilson's Creek, it was the first battle between the Union and Confederate forces in Missouri and the second battle of the Civil War. It was one of the most unusual battles fought during the Civil War as it involved three separate entities, Union forces under General Nathanial Lyons, Confederate forces under Brigadier General Ben McCullough and Major General Sterling Price commanding the Missouri State Guard. The reason for this, Missouri wanted to stay neutral. No way was that going to happen.